From Linux - OpenSSH-client, built into most *nix systems by default. Q. "Why do you install a GUI (window manager) on a VMware server?" A. 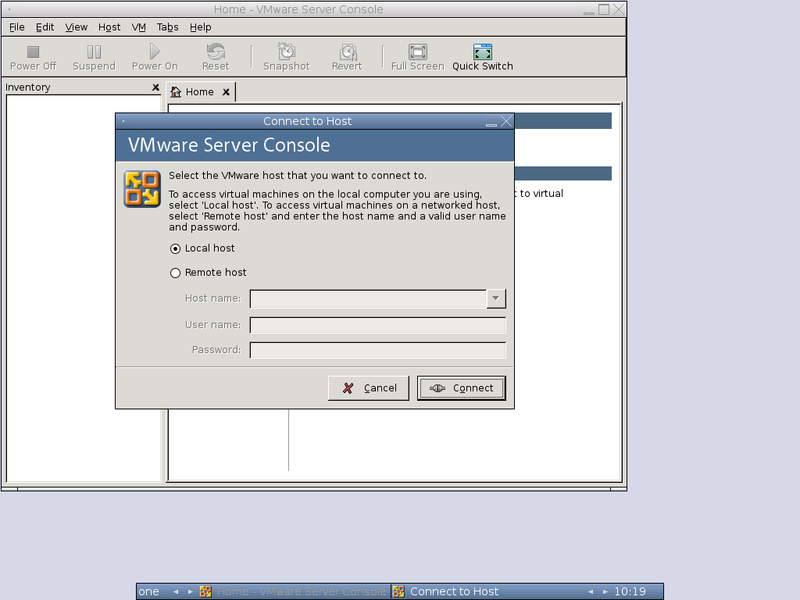 The reason is when connectivity goes down, and you cannot connect from neither ssh nor remote VMware-Console, then you should have the ability to connect to the localhost with VMware-Console. Q. "Why did you choose FluxBox as the Window Manager?" A. In my opinion, Gnome & KDE are a bit too much for what we need...I try to keep the system thin and to the point while ensuring stability and scalability. I have benchmarked all the WM's, including XFCE (Xubuntu), and I chose not to choose a pre-packaged Ubuntu, rather to install a clean X with FluxBox, what I consider to be the most robust, highly configurable, lite weight WM out there today. WARNING! : do not do this over an SSH connection or on an existing production system! OK nuff talk, Let's Begin !!! Follow the USAGE for the script and use your network specific settings, to run the script again. 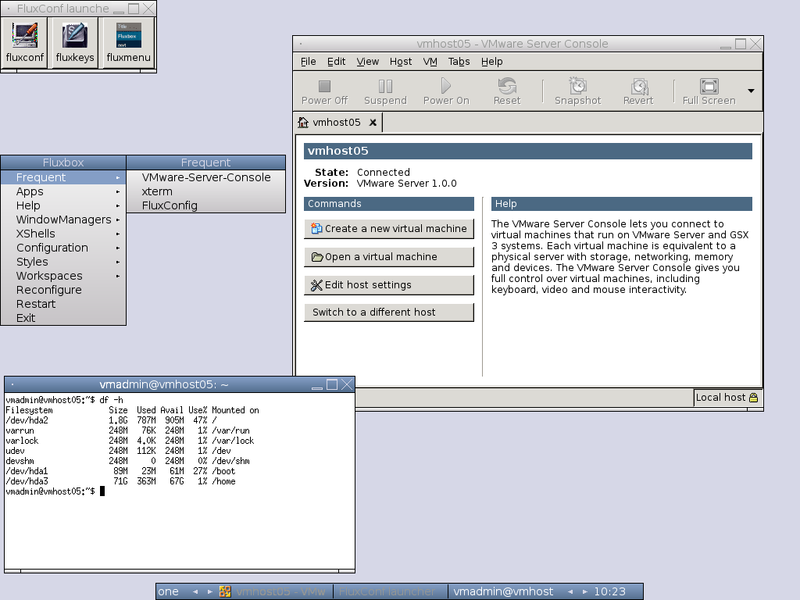 VMware Server Linux client package. "you may say I am a dreamer, but i'm not the only one"
Hi, this is great. Can you do one for Edgy as well? Just curious, have you tried to run the install on Edgy with the "Other" option? No, I installed the server version and then ran into a problem as I now can't run 'init 6' to reboot the server. Rebuilt with dapper and now have it runing.